MADE: In America is announcing the award winners of the 2016 Best Made in America and William Thornton Award for Excellence in Craftsmanship on Thursday, March 10, at a 4pm ceremony hosted by the Foundery in Baltimore. The awards are presented for excellence in design and craftsmanship to U. S. companies in the furniture and home furnishings industry. The awards also recognize commitment to manufacturing in the United States. Representing the future of manufacturing innovation in the 21st century, the Foundery, an innovative state of the science manufacturing incubator, embodies the spirit and essence of this prestigious award. Members of the U.S. Congress, the Honorable Stephanie Rawlings-Blake, Mayor of Baltimore, Joshua Teitelbaum, Deputy Assistant Secretary of Commerce at the U. S. Department of Commerce, and Foundery CEO Jason Hardebeck have been invited to participate in the announcement ceremony. 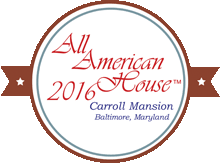 Awardees will be featured in the 2016 / All American House, taking place at downtown Baltimore’s historic Carroll Mansion which successfully competed with sites across the United States to host the event. The All American House will open on the evening of April 28, 2016 with a ticketed private event and remain open to the public through July 10, 2016. To extend the scope and impact of the All American House city-wide, the Baltimore’s American Treasures initiative was created in cooperation with the Office of the Mayor and supported by Visit Baltimore. 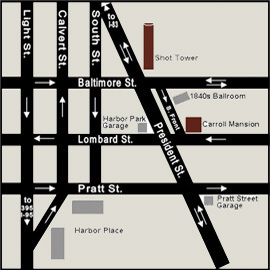 Significant sites throughout the city, including the Foundery, are part of an All American House affiliates network to showcase Baltimore’s national significance and influence. Mayor Rawlings-Blake will announce the search for eligible individuals who have made significant contributions to Baltimore to be nominated for a Baltimore’s American Treasures Award. The Carroll Mansion is open to the public for guided tours, Saturday and Sunday from 12 noon to 4 pm. Tours start on the hour and the last tour starts at 3 pm. The Phoenix Shot Tower is open for FREE drop-in visits 10-12 Saturdays and Sundays through November. Paid Tower tours depart year-round from the Carroll Mansion every Saturday and Sunday at 4pm. All visitors must meet the docent at the Mansion by 4 pm to participate.